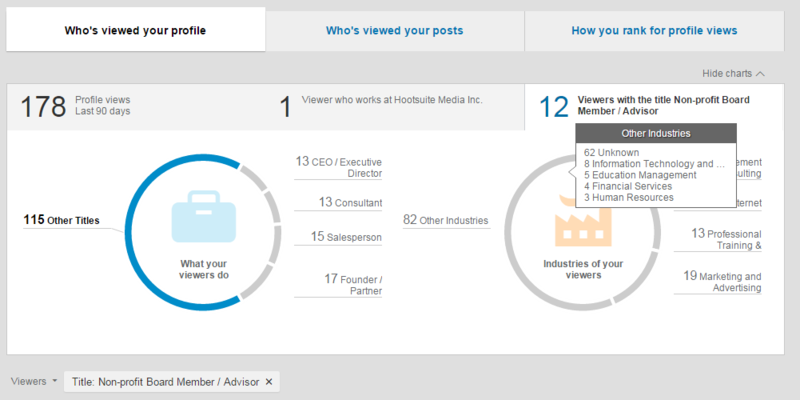 You are here: Home / Blog / Why LinkedIn Premium? Here are some of the benefits of using the Premium service. LinkedIn Premium provides you with a larger photo and profile header than the free version as well as a selection of images you can use for your custom background. Furthermore, Premium profiles are more prominent than free profiles in LinkedIn search results enabling you to display more information from your profile. 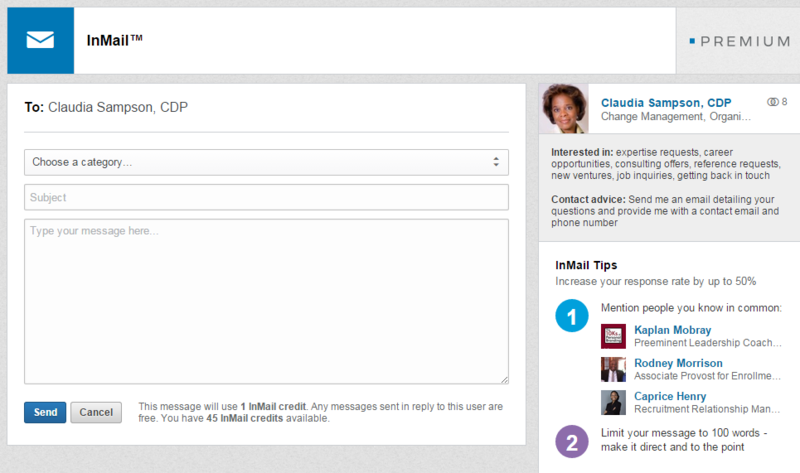 LinkedIn Premium allows you to send an InMail (direct message) to any LinkedIn member. The level of premium service you have determines how many InMails you can have outstanding at any one time. At the most basic Premium level, you get 3 InMails to start. When sending InMails, there are preset categories for why you are sending the InMail (e.g., expertise requests, business deals, consulting offers, job opportunities) and it is a good idea to see if the individual has specified what topics to contact them for. The Premium service allows you to see who has viewed your Profile over the past 90 days. You are able to see their photo and professional headline. With the free version you can only see the last 5 people who have looked at your Profile within the past 90 days. The free and paid versions both offer analytics as to the industries viewers work in, their titles and their organizations. This is one of LinkedIn’s most popular features since we all want to know when others have taken the time to look at our Profile. Once someone has looked at your Profile it is easy to send them a quick message asking if you can help them in any way or if they would like to connect. You can access to more search filters in the Advanced Search area with the paid service. 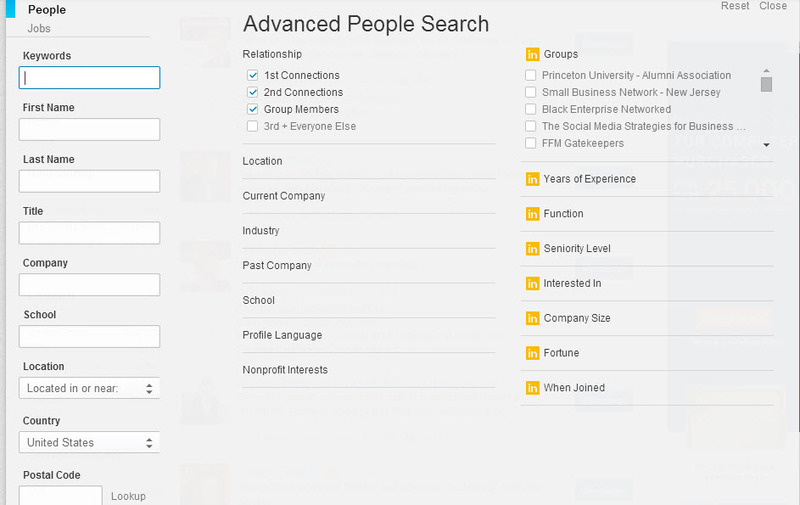 LinkedIn’s Advanced search for free members already offers filters such as keyword, title, company, location and industry. With the paid versions you are able to add filters like Group, Seniority level, Company size and others. This allows people who are outside of your network to message you at no cost to them, a great feature for networkers. Most people who may be interested in connecting with you, but are not a 2nd or 3rd degree connection or a fellow Group member will not want to pay for an InMail to contact you. When you choose to have an Open Profile they can send you a message for free. One of the most helpful features of LinkedIn is the ability to see who your 1st degree connections are connected to and ask for Introductions. 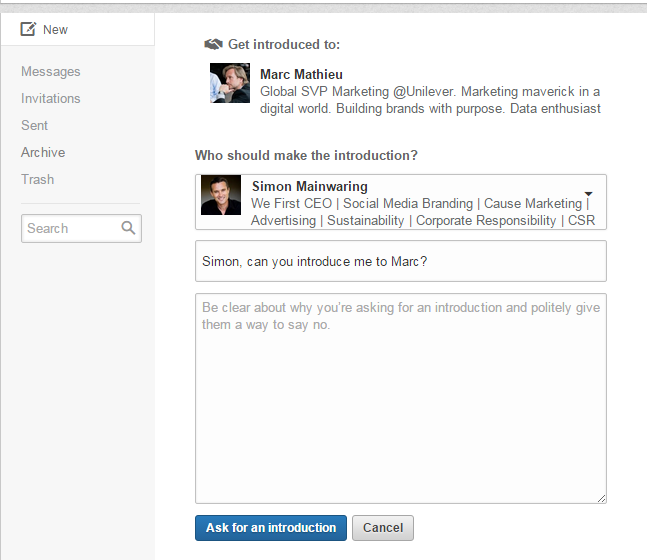 You can ask for the introduction by phone or email, but LinkedIn also gives you the ability to ask for an introduction through their platform. With a free account you can have 5 Introductions outstanding at any one time, with a paid account you can have up to 15 introductions awaiting a response at the same time.